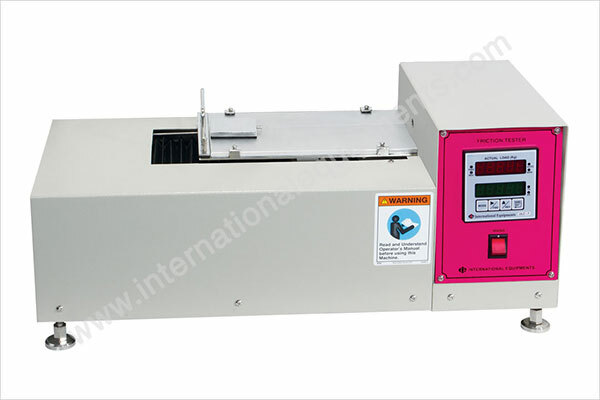 As per ASTM D - 1894 to determine the coefficients of friction of plastic films and sheeting. • Capacity : Up to 9.999 kg. • Direct display : Static and kinetic friction values. • Weight of sled : 200 grams. • Accessories : Three nos. of S.S templates. Additionally in Computerized model Digital Controller would change with Micro-controller with RS 232 communication andInterface software would be offered to be installed in user PC. Through this Load Vs travel graph along with result storage & Printout is possible. Also there would be provision to merge 10 samples at a time with single printout showing mean value & Standard deviation. 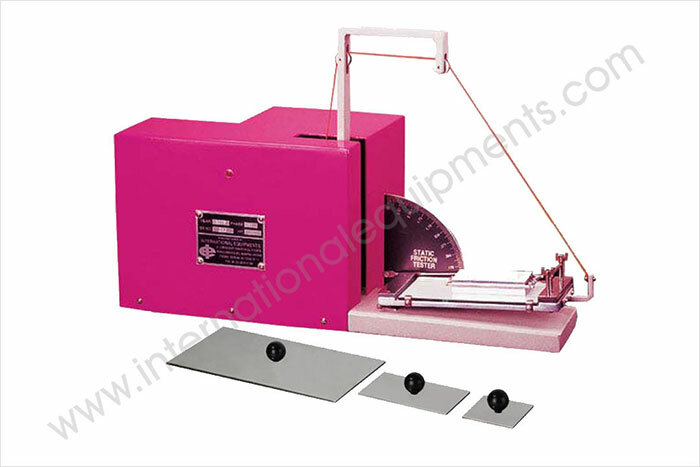 As per Tappy T - 815 standard to determine the coefficients of friction between film to film, film to metal and film to glass. • Speed : 1.5° to 2.0° / second. • Weight of the sled : 750 grams. • Size of sled : 4 inch X 2 inch. • Accessories : 2 nos. of S.S templates.